The state of Delaware once again has a professional basketball team, this time competing at its highest ever level as a member of the NBA's D-League. The team, a D-League affiliate of the Philadelphia 76ers, will play its games at University of Delaware's Bob Carpenter Center. Its name? The 87ers. OK, it could've been worse. We could've gone with the Ratifiers or the Tax-Free Shoppers. It's not as though I don't get the rationale. Delaware ratified the Constitution in 1787, making it the First State. But here's the thing. 1787 isn't unique to Delaware, as both Pennsylvania and New Jersey would also ratify before the year was out. 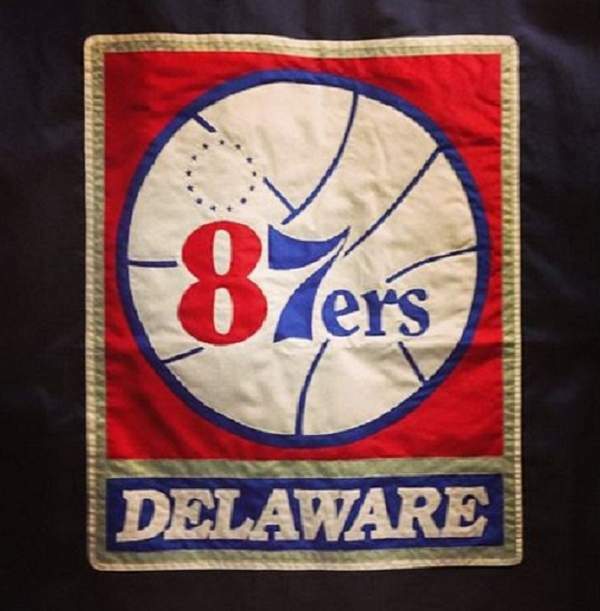 What's more, while the team is a Sixers affiliate, 87ers just sounds like it's trying too hard, especially for a state that constantly lives in the shadow of Philadelphia. I don't know who they asked, but they didn't ask me. I've been making up names for faux Delaware pro teams nearly all my life. Here's some of those, plus some others that I came up with out of the blue, that I'd offer as alternatives to 87ers. If you want to keep it colonial, you could do just that with the Delaware Colonials, sporting, naturally, the colonial blue of the state flag. You could celebrate our First State heritage simply, as the First Staters, or perhaps as the Pioneers. Or you could commemorate Caesar Rodney's historic ride, immortalized in Rodney Square and on our state quarter (not to mention of direct relation to the 76ers) with the Riders. Want to go geographical? You could invoke the river as the River Runners (or Otters, or Boaters, but I think that's my favorite) or if you want to get a little more cerebral (read: nerdy) you could invoke some of the features that make up our borders: the Liners for the Mason-Dixon Line, or the 12 Milers for the 12 Mile Circle. How about Delaware features and attractions? The Racers could reference either horse racing at Delaware Park or auto racing at Dover International Speedway (another source went with the Monsters for the Monster Mile). The Airmen, long suggested as an alternative for the team in Charlotte owned by His Airness, would work here, given the prominence of Dover Air Force Base (and sadly, its morgue). Horseshoes could be an intentional double entendre both for the aforementioned horse racing and the horseshoe crabs that call the Delaware's brackish tidewater home. The Bridgemen (or Bridgers, if you'd rather) would reference another key feature, the Delaware Memorial Bridge, while doubling to reference the Battle of Cooch's Bridge, the only Revolutionary War battle fought on Delaware soil and the first time the stars and stripes were flown in combat. But my personal favorite? The Crossovers. Granted, it takes a slight historic inaccuracy to see the reasoning, but bear with me here. One of the primary historical references with Delaware in it is the General Washington's crossing of the Delaware River, though he crossed between Pennsylvania and New Jersey. Beyond that, the D-League is not above using basketball terms to name their teams (looking at you, Los Angeles D-Fenders). But perhaps most poignantly - and this may seem Stannish - the name invokes one of the players known best for his crossover, Allen Iverson. Iverson played for the parent franchise, and like the state of Delaware is small in stature but of great value. Was Duke's Win Good for Lacrosse?